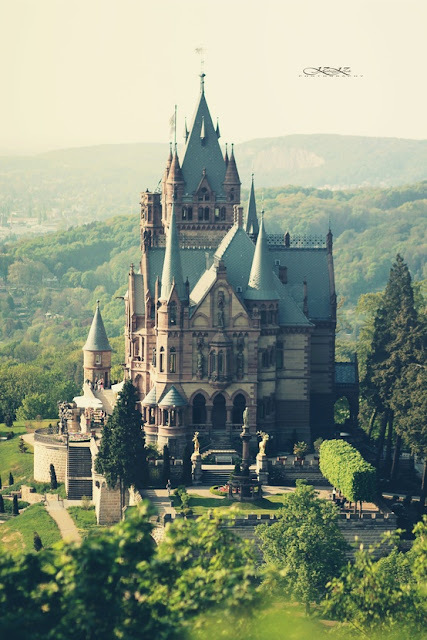 In a record time of just two years, Drachenburg Castle was built as representative residence in Königswinter in the years from 1882 to 1884 for the banker and later Baron Stephan von Sarter (1833–1902). Drachenburg Castle is kept in the style of historicism and appears as a combination of castle, manor and villa. Predominantly elements of medieval architecture, such as bays, battlements and turrets were taken on. Sarter, however, was unfortunately never able to actually live in the castle prior to his death in 1902. After various uses and heavy damage from artillery fire in the Second World War, the privateer Paul Spinat saved Drachenburg Castle from complete dilapidation in 1971. He made the castle accessible for the public in 1973 after larger investments. In 1986 Drachenburg Castle was declared cultural heritage and came under the control of NRW-Stiftung (Foundation of North-Rhine Westphalia). In 1995 large-scale restoration works began which were completed to the most part in July 2010.